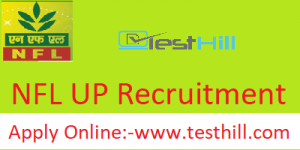 Short Info:- (National Fertilizers Limited, Uttar Pradesh) NFL UP has released the notification regarding the NFL UP Recruitment 2019. This recruitment is for the Account Assistant profiles. NFL Recruitment 2019 is available on the official website www.nationalfertilizers.com you can go there and check all the information about NFL Recruitment. Candidates have to read the official portal to check all the conditions and criteria regarding the NFL Recruitment 2019. Also, the aspirants can download the NFL Admit Card 2019 from the official website or they can download it from our webpage. The latest information regarding the NFL Recruitment 2019 is provided on this page also. Candidates need to read the full article to know about the NFL UP job details. The applications have started on 31 January 2019 and it will be going till 28 February 2019. There are a total of 52 vacancies for this recruitment. Educational Qualification Candidate having Bachelor Degree in Commerce (B.com) with minimum 50% marks in (Gen/OBC) category & 45 % marks (SC/ST/PH) from any recognized university will be eligible for this recruitment. The Recruitment for (National Fertilizers Limited, Uttar Pradesh) NFL UP are opened now. Interested candidates can apply for the same before the last date i.e. 28 February 2019. The NFL UP will not accept any application after the last date as the official portal will be closed after 28 February 2019. So, all aspirants are advised to stay tuned to the latest updates regarding the NFL Recruitment 2019. In the process of NFL Recruitment registration candidates need to provide some essential information such as Candidate’s name, their Address, Age, Educational Record etc. They all are advised not to share this vital to anyone to avoid any fraud. Now, before applying in the declared recruitment aspirants are suggested to check whether they are eligible or not. The testhill wishes you all a great future ahead.